Very near Simei MRT. Access and transport to Changi Business park. Great expat community. Located in a peaceful estate, near to schools and business park. I have lived here as a subsidiary proprietor since TOP 1996 and have experienced many changes in the last 20 years. 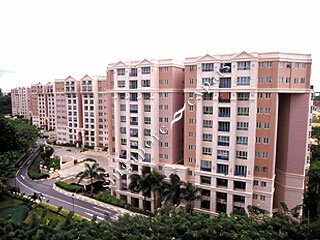 Big development, great facilities, and very well maintained despite the project's age. The pool is always well maintained, you can also get everything you need from the minimart downstairs. The unit has no bay windows and a reasonable sized balcony. Compared to new condos with huge balconies and baywindows, the unit at Melville park is big by comparison. The MRT is about 3 bus stops away, and the bus stop is right outside the side gate for convenience. Lush greenery throughout condo estate. Peaceful living yet near MRT and buses. Full service gym, tennis and squash courts and underutilized Olympic sized pool. 24/7 security. Safe for kids.